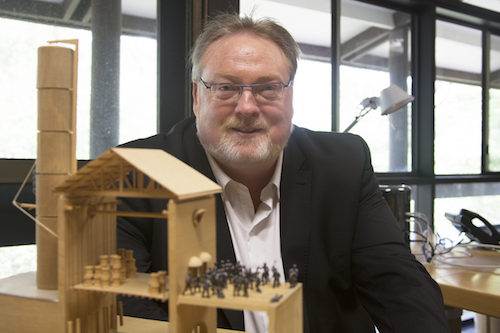 UON’s Dean of Architecture, Professor Michael Ostwald, has been awarded the Neville Quarry Medal for services to Architectural Education at the annual Australian Institute of Architects (AIA) recognition ceremony in Adelaide in May. “When I started as an academic, I quickly understood that the way in which we teach, and support students to learn, is something to be taken seriously,” says Ostwald. His 2008 Oceania-wide study of architectural education benchmarked architecture performance, quality and resources. Even after 8 years, this study is constantly referred to, both nationally and internationally, when improvements in architecture teaching and education are proposed. “10 years ago architecture students rarely worked in groups” says Ostwald, “this study allowed me to encourage academics to realise that it is critically important for students to work in teams; to learn how to manage team dynamics, personality differences and to be productive in a team environment." 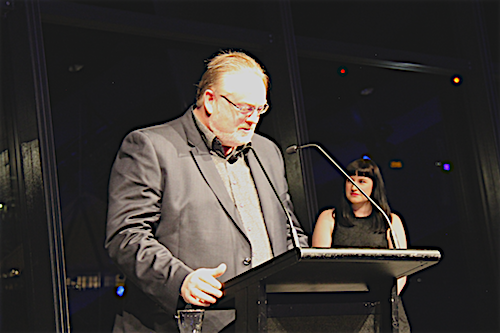 Professor Ostwald at the Australian Institute of Architects (AIA) recognition ceremony. A nationally award winning teacher, he has held a series of prestigious research fellowships with the Australian Research Council (ARC) with ten books and hundreds of other high-quality publications to his name. Ostwald has also provided extraordinary leadership in the governance of Australian architectural education as a former president of the Association of Architecture Schools of Australasia and as a founding member of the Australian Deans of Built Environment and Design. Ostwald is one of the members of the current national working group that in 2015–16 is undertaking an important review of the procedure for accrediting Australian and New Zealand architecture programs.